Zitat: "Endocannabinoids are bioactive lipids that have the potential to signal through cannabinoid receptors to modulate the functional activities of a variety of immune cells. Their activation of these seven-transmembranal, G protein-coupled receptors sets in motion a series of signal transductional events that converge at the transcriptional level to regulate cell migration and the production of cytokines and chemokines. There is a large body of data that supports a functional relevance for 2-arachidonoylglycerol (2-AG) as acting through the cannabinoid receptor type 2 (CB2R) to inhibit migratory activities for a diverse array of immune cell types. However, unequivocal data that supports a functional linkage of anandamide (AEA) to a cannabinoid receptor in immune modulation remains to be obtained. Endocannabinoids, as typical bioactive lipids, have a short half-life and appear to act in an autocrine and paracrine fashion. Their immediate effective action on immune function may be at localized sites in the periphery and within the central nervous system. It is speculated that endocannabinoids play an important role in maintaining the overall "fine-tuning" of the immune homeostatic balance within the host." Was führende Wissenschaftler*innen (Quantenphysiker*innen und Quantenchemiker*innen) in Deutschland (angeblich) nicht wissen (wollen). Hier noch einmal ganz offiziell von den amerikanischen Behörden. Der tiefere Sinn erschließt sich noch ... "Epigenetics"
[...] He had the hardest lesson of all to teach humanity and one that would leave to be known as a Tyrant to almost every single citizen of the Known Universe. schon vor 1998 gab es wichtige Patente auf Cannabinoide ... Accelrys - Virtual Biosphere and Materials ... BIOVIA ... Welche Verbindungen gibt es zwischen dem Hause Merkel/Sauer und diesem Konzern? 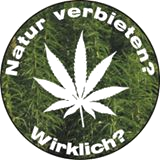 Was hat das mit Cannabinoiden und dem "System Prohibition" zu tun? ... Für dieses Nichtwissen (trotz heftiger öffentlicher Debatten und mehrfacher Aussagen der Kanzlerin zu Cannabis) führender Wissenschaftseliten sollte schon mindestens ein Friedensnobelpreis, als Abfindung, drin sein?